Where we strive for QUALITY…. For those who want a small, low maintenance, non shedding & hypoallergenic dog! 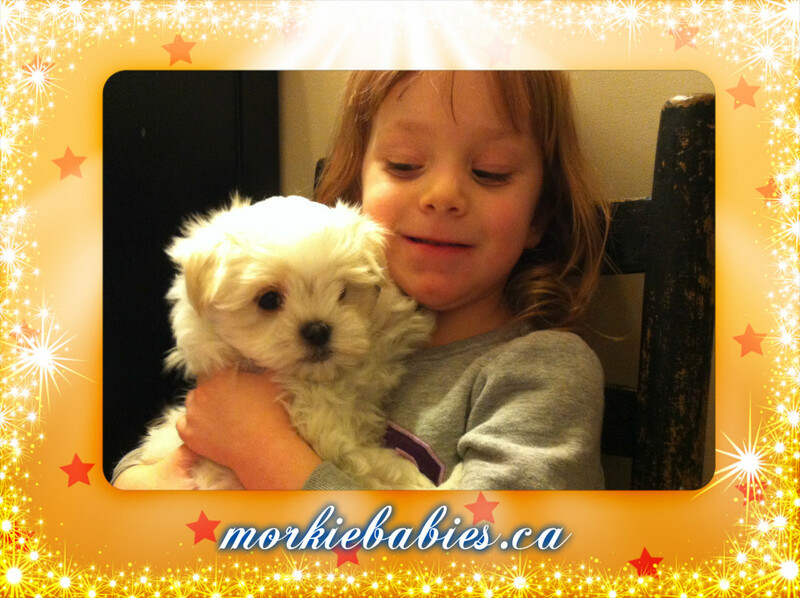 and we are dedicated to providing all of our Puppy Parents with a Wonderful puppy buying experience…..
We are breeders that specialize and focus on Excellent Quality Morkie babies of all colors, and we have built a GREAT reputation! We offer our Exquisite puppies to Pet homes with impeccable taste. We have an ongoing wait list for various colors, such as: Caramel, Chocolate, Classic Black & Tan, Cream & White, Gold, Parti and Tri. or you are welcome to either email or call/text me at: 778-349-7000. 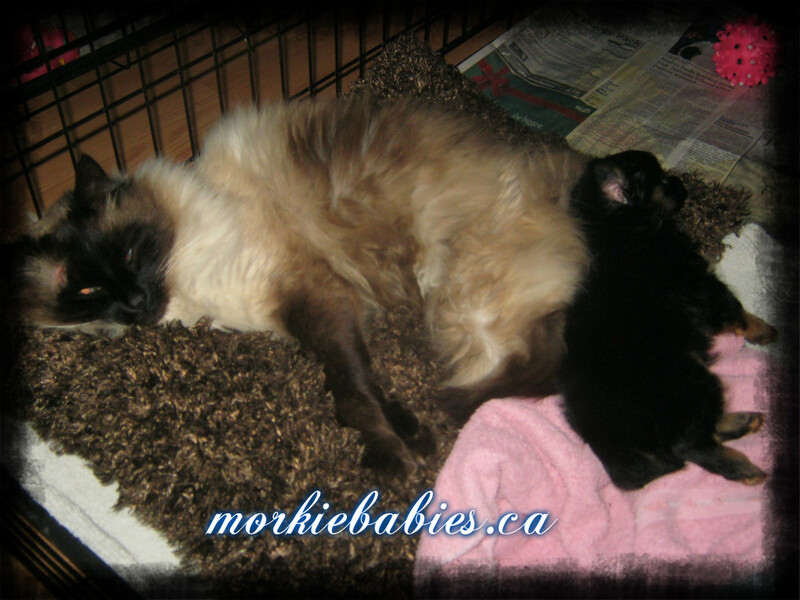 We are located in the Central Interior of British Columbia which is Prince George, and all of our potential puppy parents are welcome to our home…. For those who live a distance away, we have no problem making the drive easier for you, and so we are willing to drive to meet our out of town puppy parents half way, between us and you, to deliver your puppy from our hands to yours. 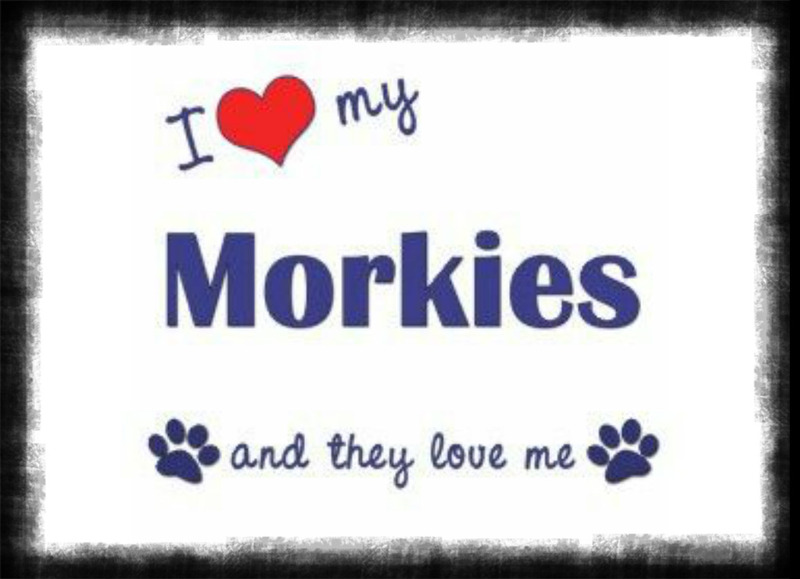 We do this because we LOVE our Morkie babies! We do NOT charge extra for delivery. For our puppy parents in Courtney, Golden, Squamish, and the Vancouver areas we will meet you in Clinton, which is a four hour drive for us. For our puppy parents in Calgary, Edmonton and the Alberta areas, we will meet you in Jasper, which is a four hour drive for us. Have you been looking for that “Special” puppy to bring home, and enjoy having their amusing company? 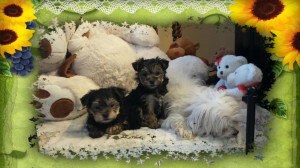 Well, we are proud to welcome you to our website, where you can see our beautiful, sweet little teddy bear Morkie babies, which are outstanding in Health and Temperament. to produce the many colored varieties of a Non Shedding and Hypoallergenic dog, along with the wonderful dispositions they hold. They have less of the aggressiveness of the Yorkie, but pass on the beautiful hair coat colors, along with the gentle personality of the Maltese, to give you a well rounded, and enjoyable lap dog. We can uphold our reputation with the MANY happy puppy parents which you can view with their reviews..
We believe “word of mouth” advertising is the best. We are here for you before and after you purchase your puppy. Our puppies are raised with our cat and our four sweet grandchildren…..
Feel free to come to us at anytime to answer your questions or concerns. Thanks, and we hope you enjoy our website! !